Project remains a hardship but steady progress is being made. ALBUQUERQUE, NM – On Wednesday, May 30, 2018, Mayor Tim Keller provided a deep dive update on the status of the ART Project. While steady progress has been made, obstacles remain to get the project up and running. After taking office just six months ago, Mayor Keller received a disappointing briefing on ART, learning that the project was much farther behind than anyone anticipated—funding was not locked in, engineering challenges existed, stops weren’t finished, and bus operability was an open question. Ensuring the bus and traffic signal timing programming which is integral to the bus rapid transit system is on the path to be completed by the end of this summer. Congress has appropriated the money for the Smart Starts program, which is the funding needed for the project. The City’s Federal Transit Administration (FTA) application for those funds has been vetted by the regional FTA office and has advanced to the FTA office in Washington, D.C. The city is awaiting a final response. 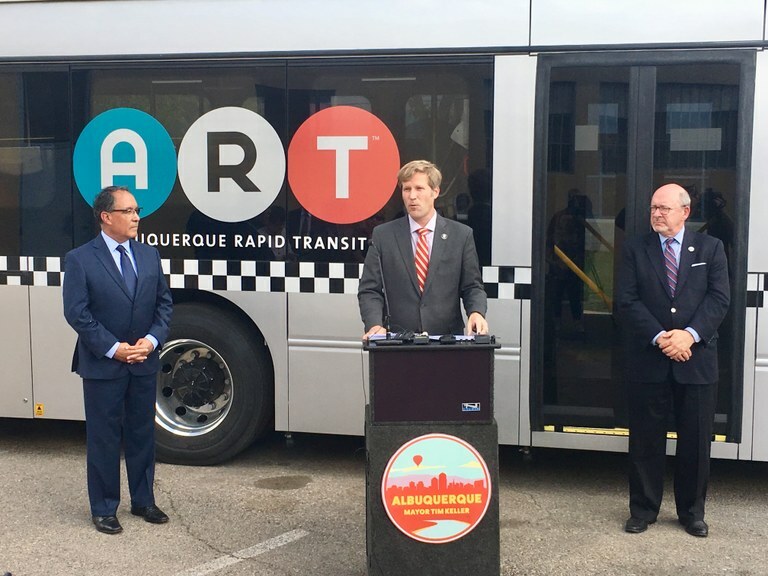 ABQRide has 15 buses onsite with varying levels of operability, and the company that was originally contracted by the City, Build Your Dreams (BYD), continues to address concerns raised previously about the quality of the buses. The buses still do not hold the charge that they were contracted to hold and that the system was designed for. The city is negotiating with BYD, and the company has agreed to install charging stations at each end of the ART bus lines to ensure buses can plug in between runs. With these challenges in mind, the City will move forward working with a partial fleet of buses that could enable interim service later in the year while protecting tax payer dollars and long-term viability of transportation on Central. In the coming months bus drivers will go through a 12-14 week training that will teach them to use the ART corridor and the bus platforms. While buses are on those training routes, the City will be working on the timing of the lights and driver education, so traffic patterns are as efficient as possible. 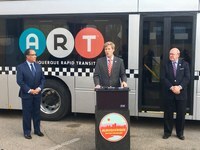 The Albuquerque Transit Department will be developing a full education campaign that will help keep Albuquerque drivers and pedestrians safe and ensure they are equipped with the information needed to use the new traffic lanes and transportation platforms.